Subversion is used to maintain current and historical versions of files such as source code, web pages, and documentation. When I'm working with a project team at school, we're working with Tortoise SVN. This SVN application is very useful to share files & folders in a Windows shell. If another team member screws up your source code, you can easily revert to a previous version. It really looks like the Time Machine on Mac OSX. The only downside to this, is that SVN can be pretty hard setting up. You'll need to have knowledge about SSH and understand UNIX. Most people don't have this knowledge and that's where Dropbox kicks in. Simply drag your files to your shared folder on your computer and everyone who you invite will be able to share the files. This way, you can simply share pictures, collaborate in a project and much more! Currently, Dropbox is still beta. You can use this application when you're invited so guess what: Leave a comment that you want an invite and I'll be glad to send you one. Of course, this is totally free of charge. UPDATE: I'm sorry to tell you, I'm out of Dropbox invites! Still not impressed or want more information? Check out the video below. Dropbox supports version control so that even if someone modifies the file you share, you get a copy of original file. Dropbox maintains versions of each changes made. 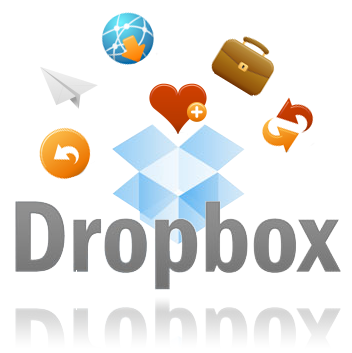 View the contents of your Dropbox folder online. Faster way of sharing files. Dropbox is still beta and invite-only (reminds me about the Gmail invites). Just leave your e-mail address here (You don't have to place it in the actual comment, just placing it in the email box is enough)! UPDATE: I'm sorry to tell you, I'm out of Dropbox invites! It seems like there is a total stop on giving out invites, since nobody can invite other users anymore. Big thanks to NirmalTV who invited me in the first place for this beta project. Let's hope they'll not be asking money when it comes out of beta.